We measure distances by illuminating a target with a laser and analyze the reflected light. by Boehm, H.-D.V., Liesenberg, V., Miraliakbari, A. and Limin, S.H. In south-east Asian peat swamp environments, the natural forest vegetation are known for their rich biodiversity and because they represent important carbon pool. However, the peat swamp forest is decreasing due to its conversion into acacia and oil palm cultivation, excessive draining, forest logging and peat fires. Those peat environments consist of domes regulated by small streams in which 'self-regulation' mechanisms secured permanent water saturation and made the domes exceptionally sensible for climate changes. Field measurements such as tree height, diameter at breast height (DBH), leaf area index (LAI) and others were conducted through the main transect of the Natural Laboratory of Peat Swamp Forest (NLPSF). 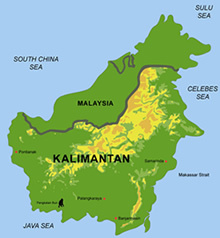 This transect is located inside the Sabangau National Park (SNP) in Central Kalimantan (Indonesia). The vegetation was selectively logged in the past up to 1997 and consists of different physiognomies ranging from riverine forest to the tall interior forest towards the peat dome (12km transect). Airborne Riegl Light Detection And Ranging (LiDAR) LMS-Q560 measurements were acquired from August 6th 2007 and on August 5th 2011. Whereas for the field measurements from Aug. and Sept. 2011. 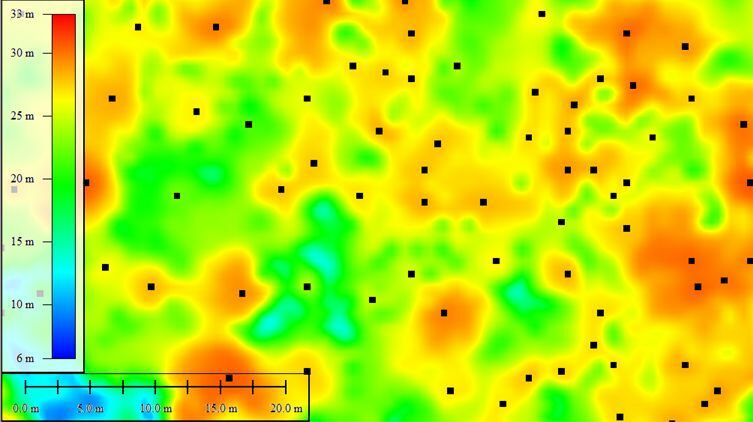 The aim of this research is to demonstrate how measures derived from LiDAR data can be used to investigate the relationships between canopy height represented (CHM) by the digital surface model (DSM) and the difference to the digital terrain model (DTM) to estimate the above-ground biomass (AGB). Additionally high-resolution Ortho-Photos were used for crown segmentation. Non-linear relationships between the ground measured tree height and DBH were also established for the different physiognomies. Percentiles of both field and CHM were applied in order to test different input parameters for AGB estimation. Allometric equations available in literature for similar forest environments employing DBH and tree height alone and both parameters together were tested too and compared to each other. Similarly we repeat the procedures for the AGB estimation with the CHM and the LiDAR derived DBH. Our results showed that AGB estimation varies considerable according to the allometric equation and its input parameters choice. By LiDAR change detection method between 2007 and 2011 we found that in this relative undisturbed peat ecosystem the subsistence was in average for 4 years 18cm (SD 4cm) and the tree growth 3.1m (SD 0.75m). This LiDAR-methodology can be used in the frame of the Reducing Emissions from Deforestation and forest Degradation (REDD) knowledge of tropical forests.